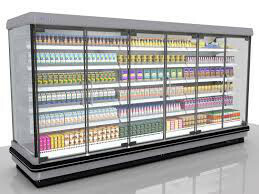 Commercial refrigeration needs careful management, business owners cannot just put a fridge, freezer or chill cabinet in place and just forget about it. With Environmental Health Officers keeping a close eye on all things refrigerated, and stringent hygiene laws governing the operating temperature of most of today’s refrigerated cabinets, it is important to know that everything is running efficiently and at the correct temperature. RJS Cooling Ltd is a company that takes pride in it’s growing reputation for high standards of reliability, thoroughness, and quick breakdown response. With an ever-expanding staff of highly experienced service and installation engineers, our ability to meet the diverse requirements of any potential customer in the field of refrigeration, has never been better. Whatever the make, model or serial number of your equipment; whether it needs servicing, repairing or installing; RJS Cooling Ltd can deal with it. Contact us for a free, no obligation quote to supply and install the right refrigeration equipment for you, or to service or repair your existing equipment.